Last year, the Journal of Parliamentary and Political Law published my piece “When the Bell Tolls for Parliament: Dissolution by Efflux of Time,” in which I highlighted a little-known means by which Parliament can dissolve automatically when it reaches its maximum lifespan – without any intervention whatever from the Crown. This is dissolution by efflux of time. The Fixed-Term Parliaments Act, 2011 had now made dissolution by efflux of time the norm and has put into abeyance the prerogative authority over dissolution. Deschenes had raised a very interesting question of dissolution by demise of the Crown, and it deserves a more thorough examination in my mother tongue than what little I could muster on the other forum. Generally, Deschenes provides an accurate statement of the facts on how dissolution by demise of the Crown worked and happened until the mid-19th century, though I don’t share his vision of Dem Quebecker Volk and Die Volksrepublik Quebec and the commentary which flows from that nationalism. Until the Tudor period, English parliaments typically lasted, at most, one year, and “parliament” did not sit permanently and regularly as they do today. Instead, the Sovereign summoned “a parliament” only when necessary. Parliament’s transition from count noun to a mass noun reflected its growing importance. Not until Thomas Cromwell and the Henrician Reformation of the 1530s did the civil service emerge as a separate entity from the king’s household and parliament emerge as a policy-making body beyond obtaining supplies. Henceforth, parliament would play a regular, ongoing, and active role in the modern State as opposed to its sporadic and ad hoc function in the medieval State. In the Middle Ages, a parliament could dissolve automatically upon the demise of the Crown without causing disruption to the Realm. If anything, this principle gave the new Sovereign more room to manoeuvre and pursue his own aims. Parliament started to emerge as the permanent institution that we know today after the Glorious Revolution of 1689 and the Triennial Act of 1694. Blackstone’s second method comes into play at this stage. Parliament modified the medieval, common-law custom of automatic dissolution “by a demise of the Crown” through the Succession to the Crown Act, 1707, which instead allowed the parliament to continue for up to six months after a demise of the Crown. 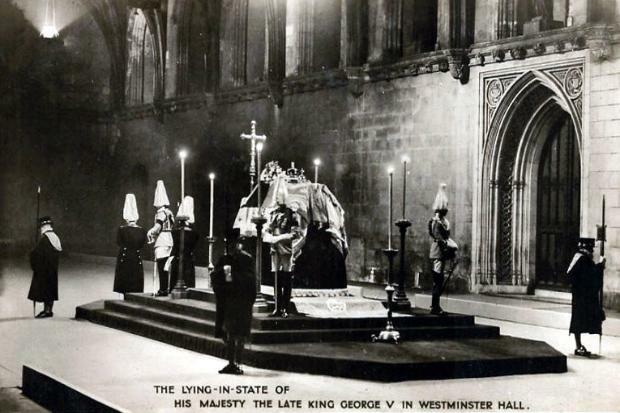 Finally, the Westminster Parliament abolished this principle altogether through the Representation of the People Act, 1867 so that a parliament would continue irrespective of a demise of the Crown. Similarly, the United Province of Canada abolished the principle of automatic dissolution upon the demise of the Crown in 1843, and the Dominion of Canada re-affirmed its abolition in new legislation in 1867. The statutory elimination of what Blackstone lists as the second method of dissolution fits a general legislative pattern over the 17th, 18th and 19th centuries whereby the Westminster Parliament has passed statutes which modify common law principles so that overall English and British law reconciles with the fact that the Crown is a corporation sole, which Blackstone also pointed out in this treatise. Laws like the Succession to the Crown Act, 1707 and the various Crown Estates Acts therefore replaced the Sovereign’s personal capacity with the Sovereign’s legal capacity as the default authority of State functions. In other words, the Sovereign now summons parliaments in his or her perpetual legal capacity, which transfers intact to his or her successor upon a demise of the Crown, and no longer in his or her mortal personal capacity. In contrast, the Sovereign owns certain properties like Sandringham and Balmoral in his or her natural capacity, so they do not automatically transfer to the Sovereign’s heirs and successor’s upon a demise of the Crown, but instead in accordance with standard laws on wills and inheritance of property. Incidentally, all this means that Deschenes is correct that the parliamentarians’ oath of allegiance has historically signified loyalty to the reigning King or Queen in his or her natural capacity instead of the Crown in its corporate capacity. This is why the parliamentarians’ oath of allegiance does not include the line about “her heirs and successors”, as other oaths of allegiance, such as those prescribed for naturalized Canadian citizens in the Citizenship Act do. In theory, the parliamentarians’ oath of allegiance in Canada should have changed in the 19th century from being an oath to the Sovereign’s natural capacity to the Sovereign’s corporate capacity when the Province of Canada abolished dissolution by demise of the Crown in 1843 – but as so often happens in our evolutionary political tradition, small inconsistencies crop up over time, and by oversight rather than by design. Deschenes points out that the former Legislature Act used to contain a provision inherited from Lower Canada and the Province of Canada which replaced the old custom at Common Law that the death of the reigning Sovereign and demise of the Crown automatically effected the dissolution of the legislature summoned in that deceased monarch’s name but that the new National Assembly Act does not include this or similar wording. Deschenes therefore posits that by repealing and not replacing this provision from the old Legislature Act, the National Assembly Act has inadvertently revived the old custom, which means that Quebec’s legislature would automatically dissolve upon the next demise of the Crown. In principle, Deschenes could make a viable argument that repealing but not replacing that provision has revived the old custom. However, in this particular case, another provision of the National Assembly Act would still preclude the revival of dissolution by demise of the Crown. Julien Fournier pointed out in the aforementioned Facebookgroup that section 6 of the National Assembly Act states pointedly and unambiguously that “Seul le lieutenant-gouverneur peut dissoudre l’Assemblée nationale avant l’expiration d’une législature.” In other words, the Legislature of Quebec can only be dissolved in two ways: automatically by efflux of time, or if the Lieutenant Governor dissolves it earlier on the advice of the Premier. (I go into more detail into dissolution by efflux of time in Quebec in pages 79 to 81 of my thesis as well). However, I think that the Legislature of Quebec should have retained the old wording as well: “Aucune législature de la province n’est dissoute par le décès du souverain […],” if only out of deference to historical precedent and to remove any doubt. More fundamentally, it should never have re-named its operative statute from “Legislature Act” to “National Assembly Act” because those titles refer to two different things. The Legislature of Quebec (its provincial Crown-in-Parliament) consists of the Lieutenant Governor and the National Assembly – and it used to consist of its Legislative Council as well from 1867 to 1968. The so-called “National Assembly Act” is, in reality, a Legislature Act because it covers topics which pertain to the entire provincial legislature and not the National Assembly alone. That is why the statute also mentions the Lieutenant Governor out of necessity, like in section 6. This Great Renaming from 1982 represents the anti-monarchist, secessionist Parti quebecois’ impulse to gloss over the Crown and mask the fact that provincial executive authority flows from the Crown of Canada in Right of Quebec, thereby giving the illusion that Quebec has already become an independent republic, the general will of which flows from the National Assembly alone. That this happened in 1982 also seems like a poor consolidation prize and an act of petulant defiance against the result of the Referendum of 1980, in which Premier Levesque’s proposal for secession (veiled in deliberately mendacious, dissembling verbiage though it was) went down in a massive defeat. It would be very ironic if this act of defiance against the Crown ended up reviving an old and inconvenient custom of automatic dissolution by demise of the Crown, but I do not think that it has. Sir William Blackstone, Commentaries on the Laws of England in Four Books. Notes selected from the editions of Archibold, Christian, Coleridge, Chitty, Stewart, Kerr, and others, Barron Field’s Analysis, and Additional Notes, and a Life of the Author by George Sharswood. In Two Volumes, Volume 1, Books I & II, edited by George Sharswood (Philadelphia: J.B. Lippincott Co., 1893) at 187. Geoffrey Elton, The Tudor Revolution in Government: Administrative Changes in the Reign of Henry VII (Cambridge University Press, 1953). Audrey O’Brien and Marc Bosc, House of Commons Procedure and Practice, 2nd Ed. (Ottawa: House of Commons and Editions Yvon Blais, 2009) at 386. Sir William Blackstone, Commentaries on the Laws of England in Four Books. Notes selected from the editions of Archibold, Christian, Coleridge, Chitty, Stewart, Kerr, and others, Barron Field’s Analysis, and Additional Notes, and a Life of the Author by George Sharswood. In Two Volumes, Volume 1, Books I & II, edited by George Sharswood (Philadelphia: J.B. Lippincott Co., 1893) at 469. Quebec, La loi sur l’assemblée national, chapitre A-23.1. This entry was posted in Crown (Powers and Office), Dissolution. Bookmark the permalink. Would like to speak with you about status. The man is an historian, not a lawyer. If you read carefully he doesn’t pretend anything. He doesn’t affirm anything nor does he posit anything. He just raises the question. Indeed there is a question mark at the end of his conclusion. He therefore turns to the legal community for their opinion. So it doesn’t serve you to categorise him. Also, be ware that Quėbec doesn’t have a Legislature anymore, but a Parliament… section 3. This comment really made me laugh. I love how I literally said in the second paragraph “Gaston Deschenes, an historian from Quebec[…]”, and then you say that I’m treating Deschenes like a lawyer instead of like an historian. I don’t know what to make of that. I actually got into a similar discussion with Gaston himself on the French-language Facebook group, and he seems to share your confusion about the whole question mark business. Yes, I saw that Gaston ended his blogpost with a question and question mark — and as you should likewise presumably be able to see here, I *answered his question* in the form of my blogpost. I thought that Gaston asked a good question. He raised some good points and made a good argument about the history of the parliamentarians’ oath of allegiance to the Sovereign and how it has historically referred to the Sovereign’s personal capacity and not to the Sovereign’s corporate capacity. Frankly, I suspect that you became distracted by my use of German-language terminology to mock Quebec nationalism (perhaps the question of Quebec nationalism is dear to you, and you were offended), and that you therefore missed the main point of my blogpost. Glad to see your thorough post. If The GG died in Feb of 1940 and new one was installed that June, who “Approved” Order in Council PC 1940-1121 on March 28, 1940 (effective March 25/40) that made the Clerk (by est a dual role as Secty to Cabinet) not-solely accountable to the GG. How can any one person be part of the Executive AND the Legislative Order. Surely no parliamentarian would approve it. Dissolution upon demise of the Crown makes sense conceptually when it comes to the Parliaments at Westminster and Ottawa, for the Sovereign is a constituent part of each. Yet provincial Legislatures have never depended on the Sovereign for their existence. Although Lieutenants Governors are held to represent the Sovereign, they possessing constitutional powers in their own right (the Sovereign does not exercise any powers in respect of a province). So it seems that any provision guarding against dissolution of provincial Legislatures upon a demise of the Crown would be of no practical effect. However, even if the old Legislature of Québec had been subject to dissolution upon a demise of the Crown, would this curious usage have revived upon the creation of the National Assembly, that is to say a novel institution brought to life with the benefit of a modern legal landscape (as opposed to that of 1867)? You raise good points here, John. From a purely logical standpoint, I think that your argument should be correct. I hadn’t thought of that before, but the fact that the Legislature of the Province of Canada, and the Legislatures of Upper Canada and Lower Canada before it, all rested on a statutory basis really *should have* precluded dissolution by demise of the Crown. As well, as you say, the Crown-in-Parliament in British North America also seems to have hinged upon Governor-Council-Assembly prior to section 17 of the British North America Act, 1867, which should have offered them protection against this Common Law custom of automatic dissolution by demise of the Crown. All I can say is that, in practice, British North American parliamentarians in the 19th century believed that the custom at Common Law applied to their colonial legislatures as well — otherwise the Legislature of the Province of Canada would not have passed legislation banning dissolution by demise of the Crown in 1843. I think that you’ve stumbled upon yet another example of how Canada’s evolutionary political culture misses out on a lot of important details sometimes, and that we tend to correct these retroactively rather than proactively designing ways of avoiding them.